After featuring some of the best Free and Open Source 3D animation software, it's time to take a look at some 2D computer graphics program for Linux users who are into creating two-dimensional models. These free 2D animation software is as capable as those that are commercially available so do take time to try them first before emptying your wallet. 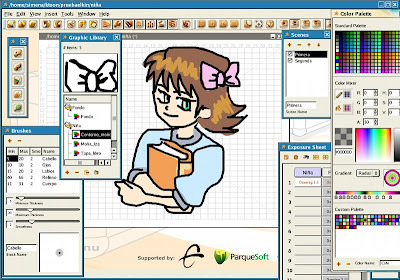 Synfig is a 2D vector graphics and timeline-based computer animation program that was originally the custom animation platform for the now discontinued Voria Studios. The main goal of the project is to create a program that is capable of producing "feature-film quality animation with fewer people and resources." The program offers an alternative to manual tweening so that the animator doesn't have to draw each and every frame. Synfig is capable of simulating soft-shading using curved gradients within an area so that the animator doesn't have to draw shading into every single frame. KToon is a 2D Animation Toolkit designed by Toonka Films animators for aspiring animators. 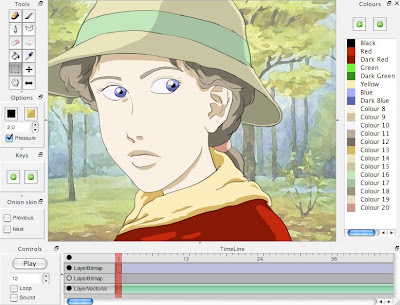 It is designed to function in a similar way to popular proprietary animation packages, like Macromedia Flash. It currently lacks a scripting language like Macromedia's ActionScript, but it can export movies as AVI files and Flash animations. 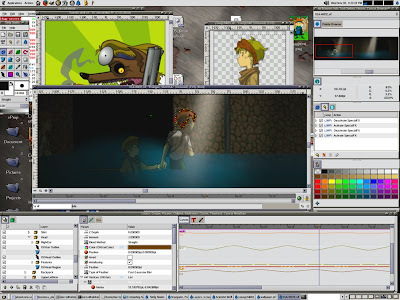 KToon uses OpenGL and Qt toolkit as programming resources. Pencil is a drawing and 2D animation software that is written in C++ and is based on QT. It uses a unique bitmap/vector drawing interface to produce simple 2D graphics as well as animation. Pencil is also available for Windows, Mac, and BSD. 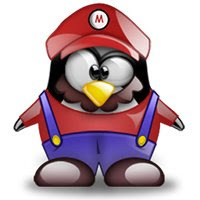 If you know of other free and open source 2D animation software that I failed to include here, please share them with us via comment. Pencil is a great program but it has not been updated in a long time. My students used it last year, there were a lot of bugs still but they were able to complete their projects. Synfig was difficult to set up from a student perspective but I think they have a great future. Ktoon as well. Not sure what is happening with Ktoon. For part of the last year, the main site and its files were offline. The site is back up but they seem to be moving in a new direction with a new software package that is still in development. The old Ktoon package seems to be obsolete. I use gimp to animate in linux. There is also an animation package for gimp (gap) to add more animation options. i just want to know what kind of program to use to make animation say for example i was going to make a AMV what would be the right program would be good also what tools do i need to use to like copy a face and just change the size or rotate it in the next slide.